The popular webcomic “4-Panel Life” is being collected in a book! Enjoy over 100 slice-of-life comics, some never-before-seen, in printed form. Learn more about the webcomic and enjoy an interview with the creator, Jen-Jen Rose. 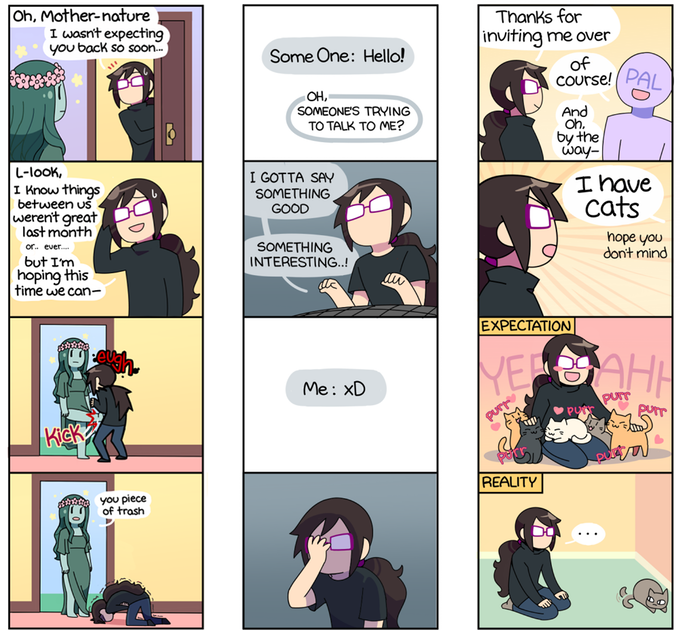 4-Panel Life started in 2010 and was inspired by the real life events of creator Jen-Jen Rose. The paperback book will have over 100 4-Panel Life comics from the webcomic as well as some brand new material only available in the book. There will be behind the scenes content, illustrations and commentary from the artist. The project has already reached its $10,000 goal and has completed several stretch goals. Some stretch goals reached include adding three more new comics to the book, getting a bookmark added to any $20+ pledges and new 4-Panel Life merch! If you pledge $10 you will get a digital copy of 4-Panel Life: THE BOOK. For $15 you will get a physical copy of the book as well. Shipping is free for people in the United States, $5 for people in Canada and $7-$10 if you’re located anywhere else. 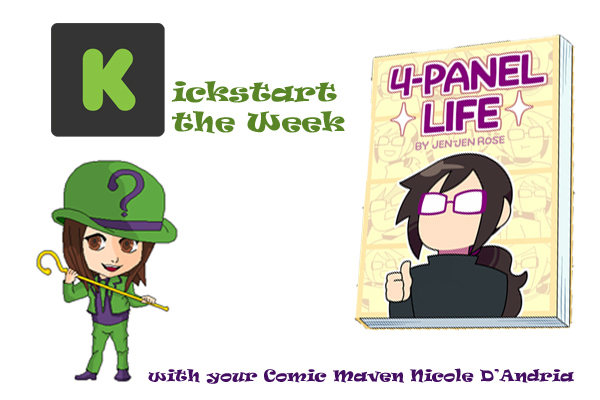 You can back the book on the 4-Panel Life: THE BOOK Kickstarter page. The project will end on July 3rd, 2016 at 3:00 PM EDT. Me: What inspired you to start drawing your life as a webcomic? 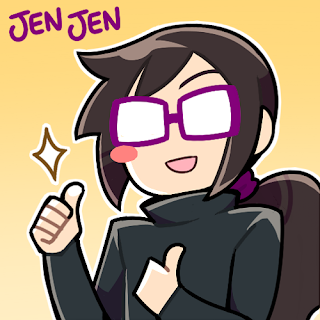 Jen-Jen Rose: I started 4-Panel Life right after graduating high-school and moving out into the 'real world', and used the series as a fun way to keep my friends and family up to date with how my life was going. Originally it was never intended to go out into the public, since it was just silly happenings from my own personal life, but after heavy persuasion from my friends I ended up deciding to share it on the web! Me: Why did you choose to do four panels for each strip? Jen-Jen Rose: My comics are inspired by the Japanese comic strip style "4-koma" which are a style of comic I read a lot growing up, and I had always been a big fan of their simplicity. I felt like this was the ideal style for my comic since my writing style is quite simple and to the point, and generally doesn't need to go any further than 4 panels. Me: If you had to pick, what has been your favorite 4-Panel that you’ve done so far and why is it your favorite? Jen-Jen Rose: The first one that always come to mind is the "Wasteful" comic where my Pal throws away a perfectly good half eaten sandwich. Since posting this comic I have received a lot of free food, so it holds a special place in my heart. Me: What is the number one reason why people should pledge money to 4-Panel Life: THE BOOK? Jen-Jen Rose: Because you want a copy of The Book! Followed by you want to support the series and its continuation, because that is another big part of what this Kickstarter is all about. Me: What inspirational words do you have for people interested in making webcomics? Jen-Jen Rose: Even if you feel like your art isn't the best, or that your writing isn't that great, everyone starts somewhere, so you've just gotta get yourself out there, start producing your content, and see where it takes you! Me: Thank you for your time Jen-Jen! 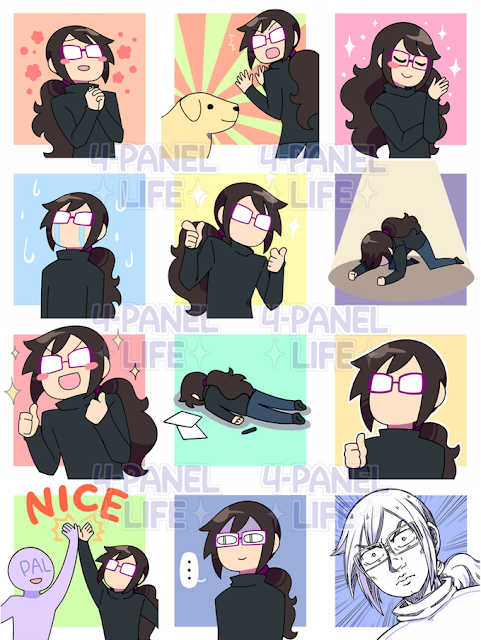 If you’re interested in checking out the 4-Panel Life webcomic, you can view it at Tapastic. Like what you see? Then pledge money to the 4-Panel Life: THE BOOK Kickstarter page.